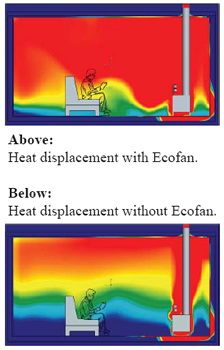 Independent studies show that Ecofans improve the efficiency of a wood burning stove by about 14%. Manufactured in Canada, the Ecofan is powered by a heat exchanging motor which powers a fan to push heat from the top of the stove into the room. 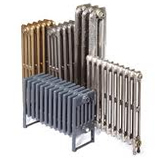 Therefore with an Ecofan on top of your stove more heat will go into the room as opposed to above the fireplace which is almost certainly very hot to the touch anyway. Ecofans come in three sizes subject to the size of your stove.